Hallelujah! “Group Violence Intervention” began in Kalamazoo this summer! Our Youth Violence Prevention Task Force has worked for over five years for this day! “Group Violence Intervention” strategy is an innovative one that brings community members together with our law enforcement and community leaders to give a powerful message that the violence must stop while offering alternatives and resources to those who want to change their lives. The focus is to keep people safe and out of prison. 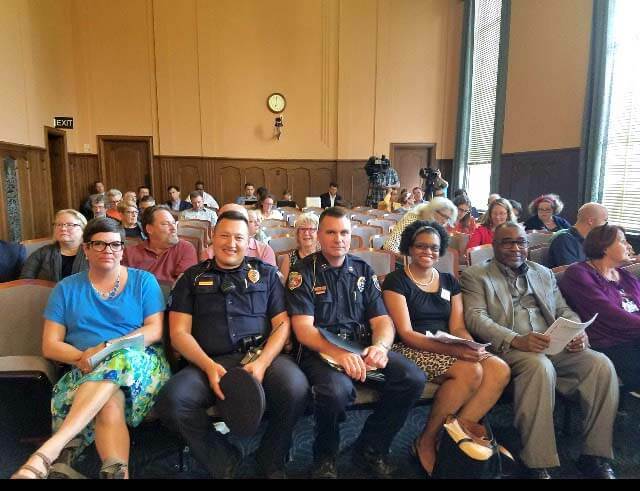 THANK YOU and BRAVO to our Youth Violence Prevention Task Force, especially Dr. Charlae Davis, Elder Doug King, and Co-Chair Wendy Flora, who has been personally invested for five and a half years in bringing David Kennedy’s “Group Violence Intervention” approach to Kalamazoo! We are deeply grateful to you for your faithful work to address the root causes of youth violence, not just the symptoms, and for your close work with our Public Safety and City leaders to bring the “Group Violence Intervention” approach to our community. The Youth Violence Prevention Task Force is also empowering youth to be Future Leaders for Peace. 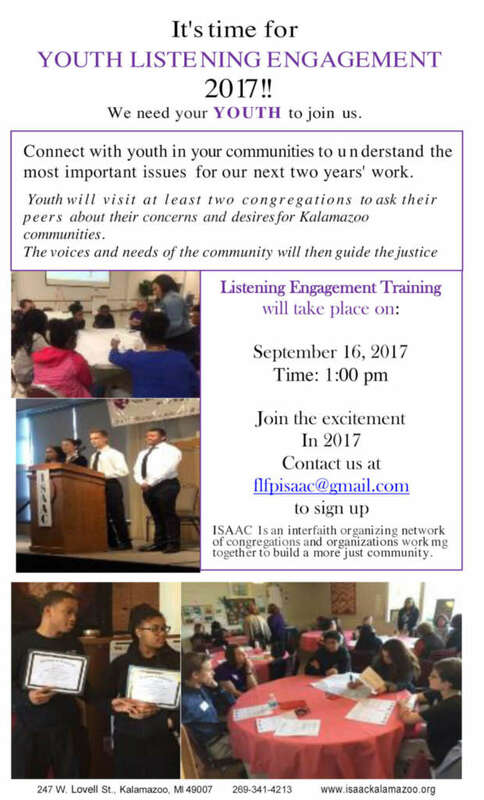 Your congregation’s youth would be welcome to join the Youth Listening Engagement on September 16. 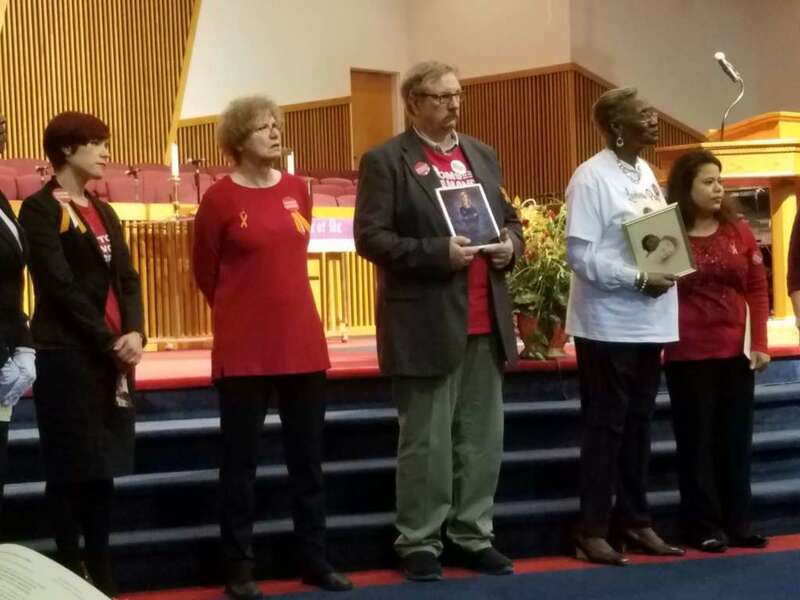 Youth will visit at least two congregations to ask their peers about their concerns and desires for Kalamazoo communities. The voices and needs of the community will then guide the justice work Future Leaders for Peace engages in over the next two years. Contact [email protected] for the details and to register your youth.